I would like to extend my warmest wishes to Muslims in Malaysia and around the world celebrating Aidilfitri. As we mark the end of the month, we are reminded that Ramadan is a time to reflect spiritually, build communally, and aid those in need. While Hari Raya Aidilfitri marks the end of Ramadan, it marks a new beginning for each individual, a reason to celebrate and express gratitude on this festive day. For millions of Muslims, the morning of Aidilfitri is marked with the call to prayer echoing through cities and towns across the country. Millions of people head to local mosques for Aidilfitri prayers followed by festive gatherings, gift exchanges, and feasts among friends, neighbours and families. The diversity of traditions paint the vibrant images we see throughout Malaysia capturing the spirit and excitement of Aidilfitri with colorful dresses decorating the masses of people standing in lines for prayer, lanterns lighting up the neighborhoods and an abundance of delectable foods and aromatic cuisines. As a Muslim celebrate Eid across Malaysia, the holiday is a reminder to every Malaysian of the importance of respecting those of all faiths and beliefs. 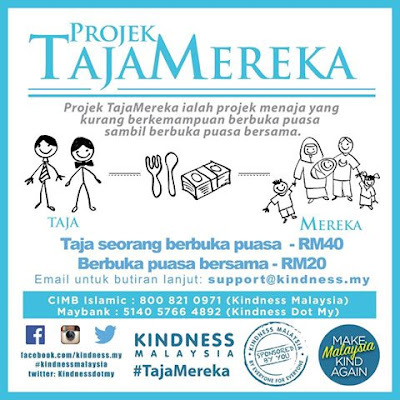 This Ramadan, we had TajaMereka Project, Kurma Project and also the Pintu Rezeki Project which was an acknowledgement of the great diversity and inclusiveness that adds to the richness of our nation. During this year’s TajaMereka, I had the opportunity to meet inspiring NGOs leaders who are leading efforts for greater understanding and unity across diverse communities. Malaysians of all faiths and beliefs must stand together to promote kindness and make our country a kinder place to live. 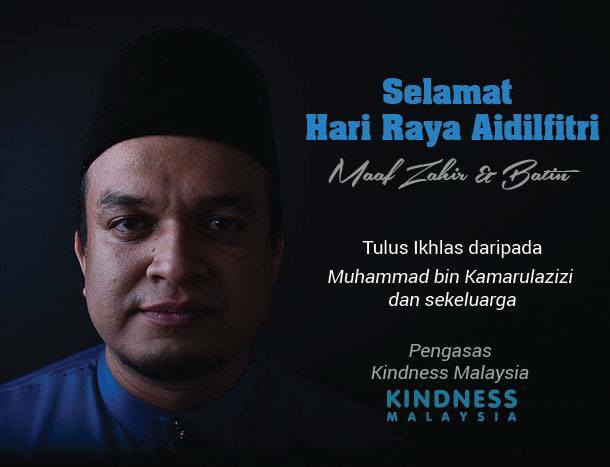 I hope today brings joy to all of your homes, both here in Malaysia and around the world. From our family to yours, Eid Mubarak! May Allah accepts mine and your deeds.